UC Irvine Medical Center is the only university hospital in Orange County that offers acute- and general-care service. It has the county's only Level I trauma center, American College of Surgeons-verified regional burn center and National Cancer Institute-designated comprehensive cancer center. Included in its University Children's Hospital is the county's most sophisticated neonatal unit, caring for more than 500 premature and at-risk infants each year. 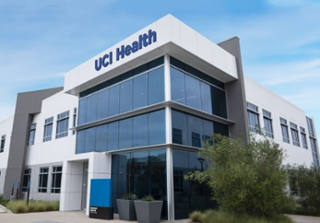 UC Irvine Medical Center was named one of the nation's 100 Top Hospitals by Solucient, a leading source of healthcare business intelligence. It is one of three California hospitals and 15 major teaching hospitals to receive this award. University of California, Irvine Medical Center is one of only 59 hospitals nationally to be named to the "Leapfrog Top Hospitals" list for quality and safety. The Leapfrog Group is an independent consortium of Fortune 500 companies that is focused on the public reporting of quality, safety and affordability of healthcare so that consumers can make informed healthcare decisions. Residents rotate at UC Irvine Medical Center for non-psychiatry rotations of inpatient medicine (one to two months during internship year) and outpatient neurology. 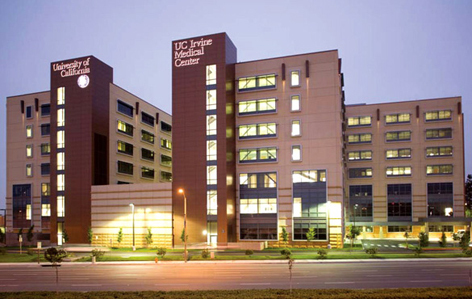 Most of the core psychiatry rotations are located at UC Irvine Medical Center's Neuropsychiatric Center. Rotations during your first two years of residency include experiences on acute adult inpatient units, the child and adolescent inpatient unit, consult and liaison service, and emergency psychiatry. During your last two years of residency, you will have multiple outpatient clinics at UC Irvine Medical Center as well as the opportunity to get involved with a myriad of electives. All call is at UC Irvine Medical Center. Senior residents rotate at numerous county ambulatory sites treating largely underserved patients. In these settings, residents provide comprehensive outpatient psychiatry care to adults who have serious mental health disorders including co-occurring substance use disorders and impairment in their ability to function in the community. During the third and fourth years, residents have the opportunity to work in a wide array of specialty clinics such as PTSD, cognitive clinic, women’s mental health, anxiety, mood disorder clinics with a strong team of attending physicians. Our residents will train at the new state-of-the-art medical facility in Newport Beach. The contemporary 20,000-squarefoot facility features eight private bedrooms for sleep studies, four procedure rooms and 16 exam rooms, all equipped with the latest technology to diagnose and treat a wide range of conditions.